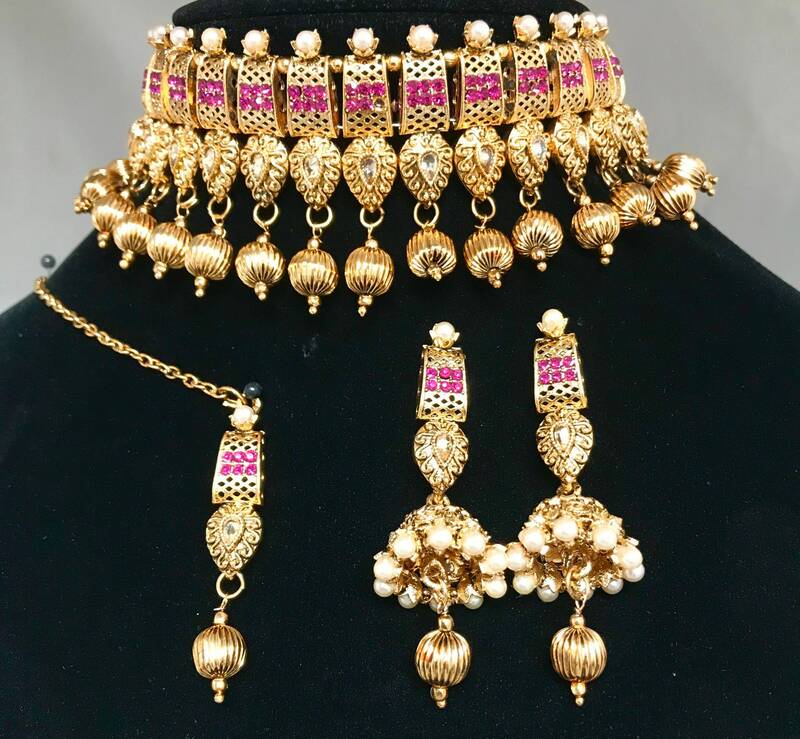 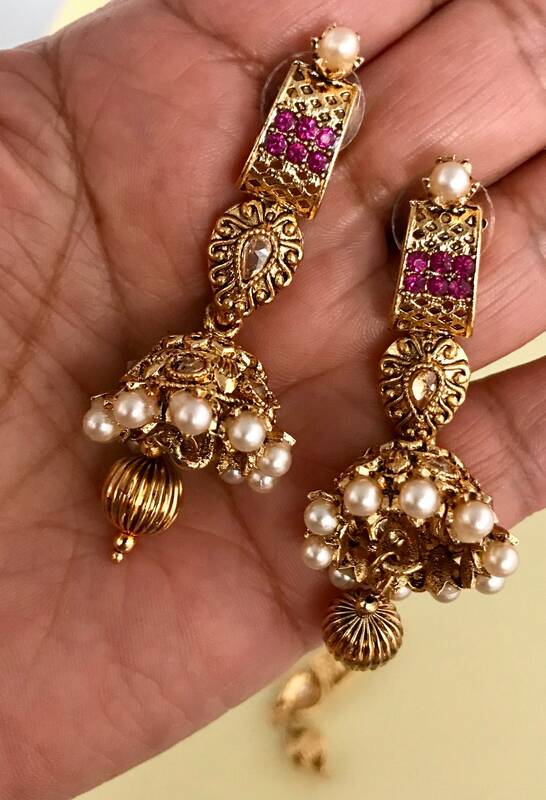 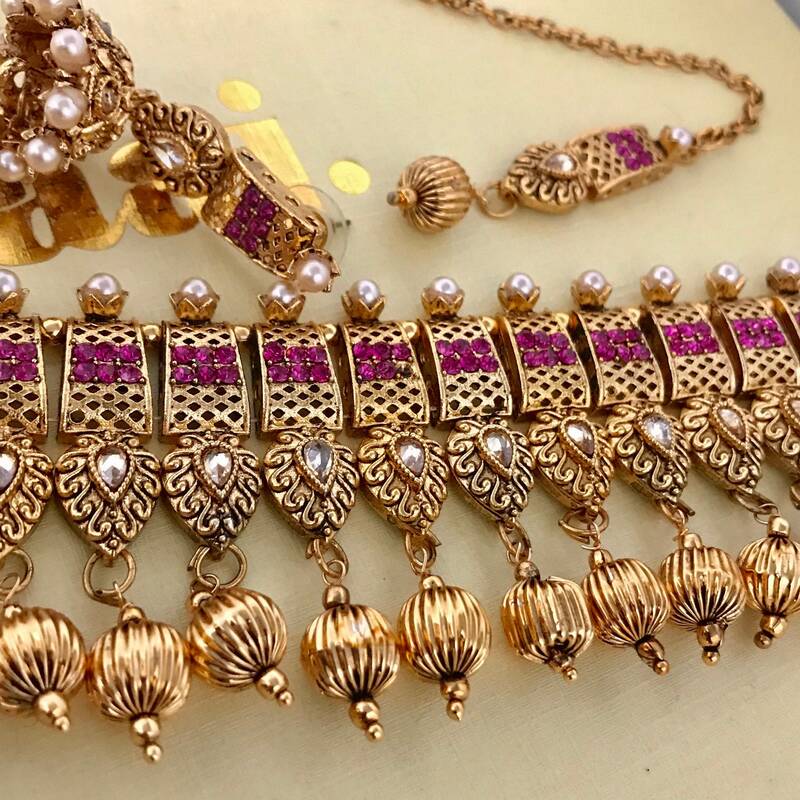 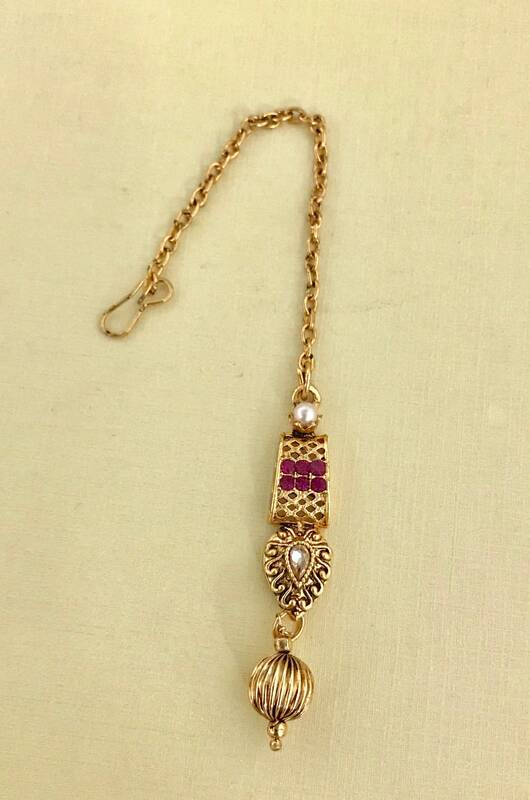 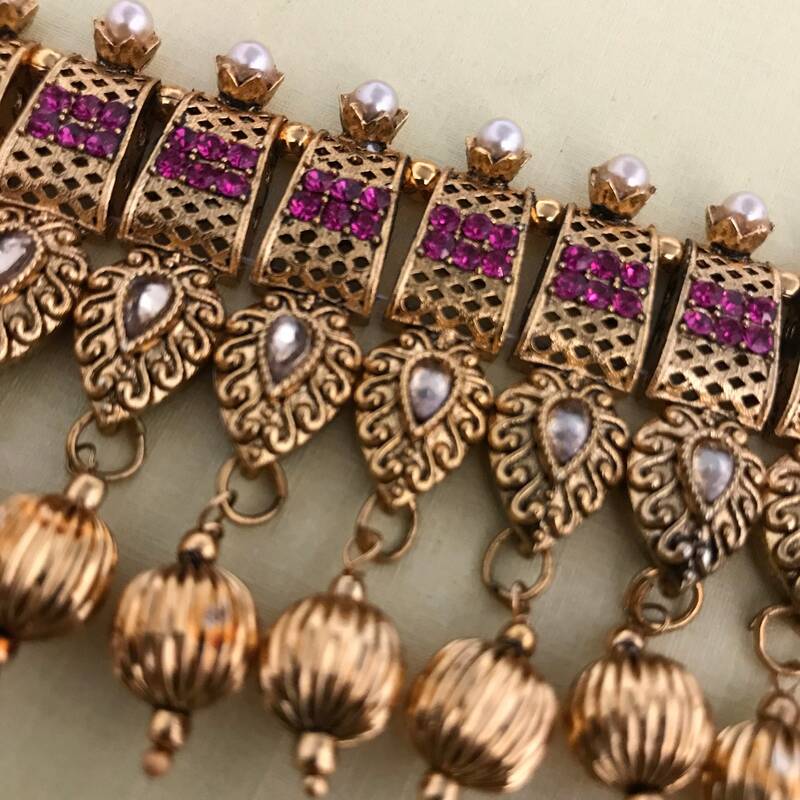 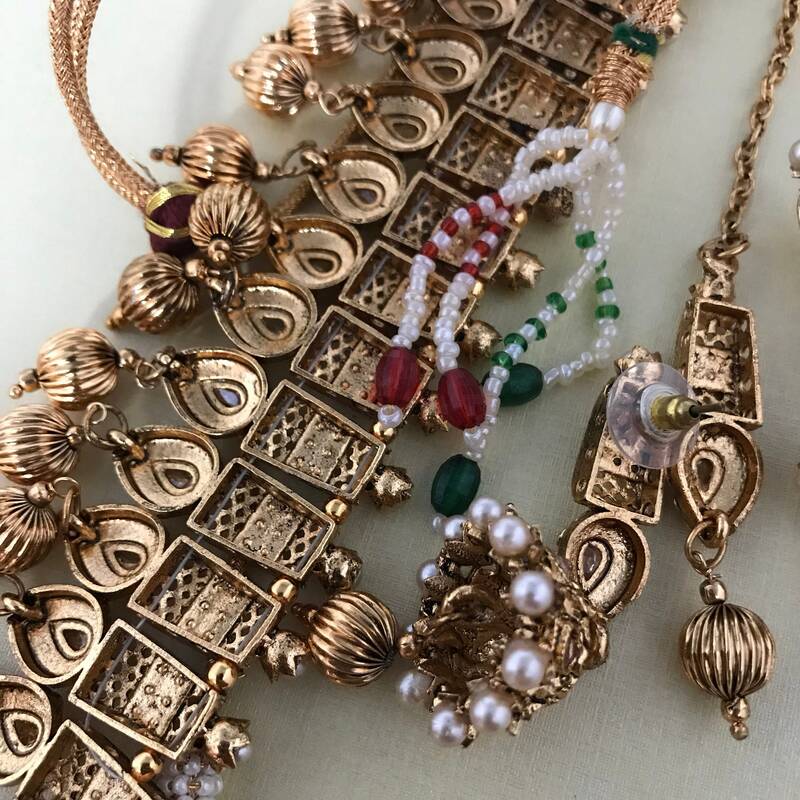 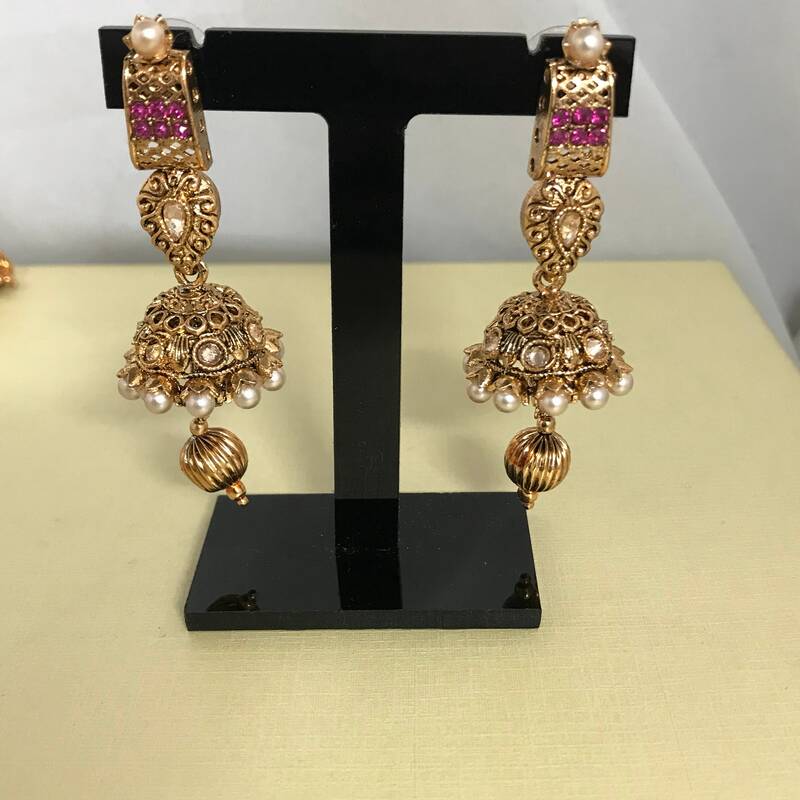 Gold coloured choker, earrings and tikka encrusted in hot pink diamanté and gold coloured zirconia stones with faux ivory colour trim and gold coloured Moroccan ball droplets. 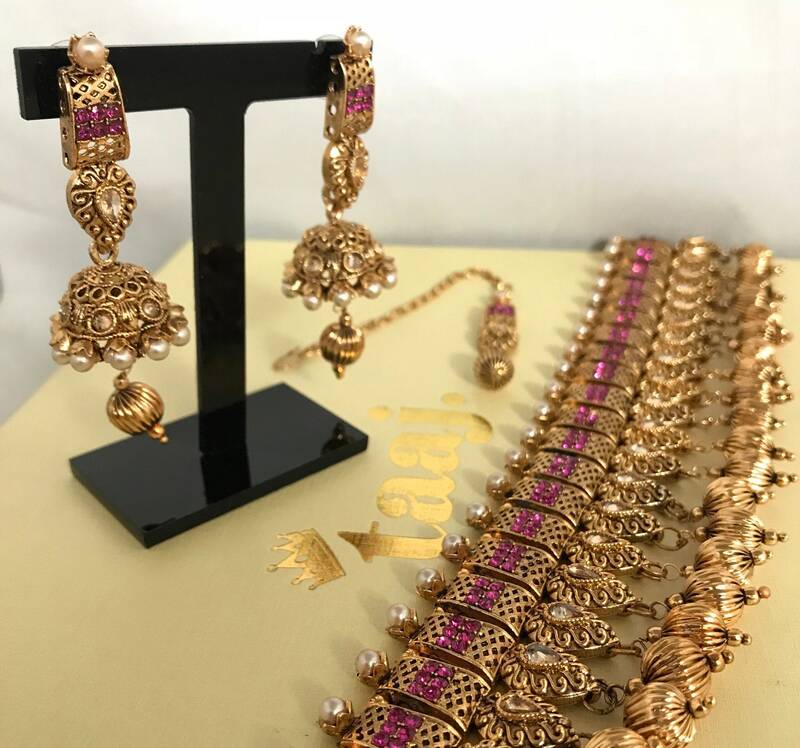 Our goal is to provide quality goods at best possible prices, and we strive for 100% customer satisfaction and a 5* rating so that we can continue to serve our valued customers. 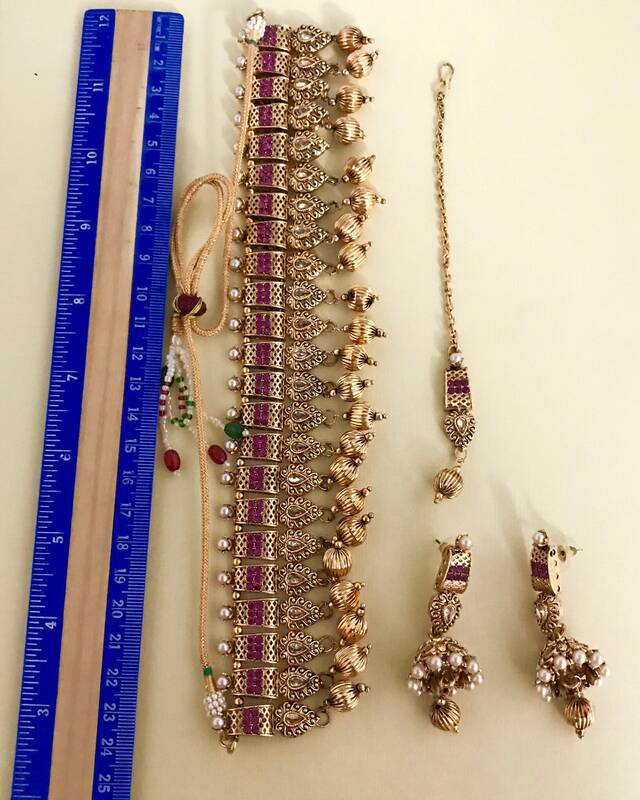 The seller had great communication when I had questions and the product was better than what I expected!